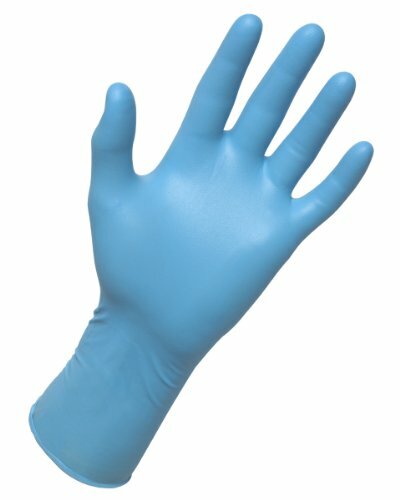 Derma-Max powder-free nitrile exam grade disposable gloves are 8 mil thick for durability and 12" in length for added protection. Textured fingers allows for a superior grip of pneumatic tools. Non-latex and excellent sensitivity. Ideal for janitorial, marine, plumbing, painting, automotive and chemical resistance. Includes 50 gloves per box. For over 30 years, SAS Safety Corporation has provided safety products and equipment designed to make workplaces safer. We are dedicated to providing quality products that protect and preserve our most valuable resource: people. We offer a complete line of personal protective equipment; eye and face, hand, body, respiratory and hearing protection, as well as first-aid kits, ergonomic, spill control, and traffic safety products.